Approving flyers is now easier than ever! Additional uploader information is now available on each flyer card. If you are a district approver, select the “Approve all” button or “Deny all” button right on the flyer card. 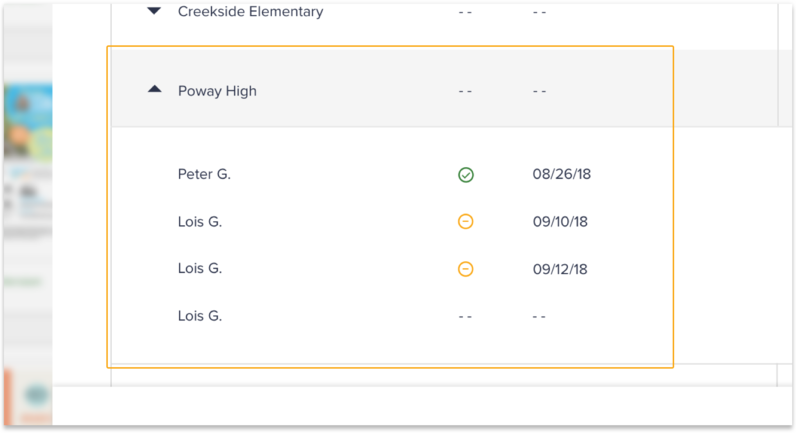 If you don’t want to make bulk selections, choosing the “Schools” button will open up a list of all the schools and individual decisions can be made for each school. 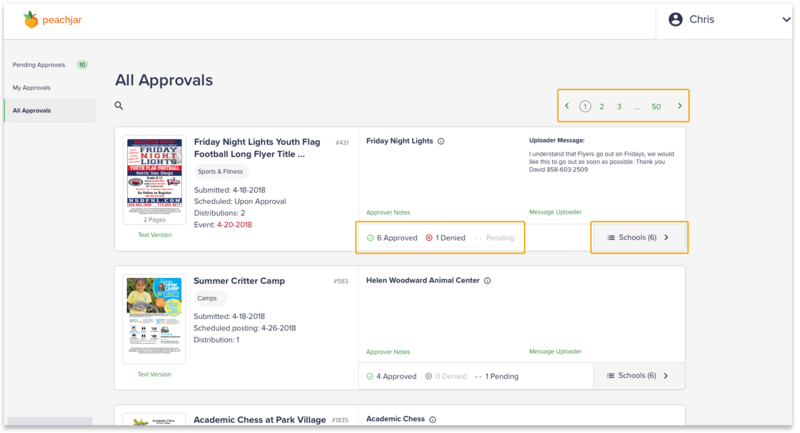 If you need more time to make a decision you can hold a flyer by selecting the “Hold All” button on the flyer card itself or in the “Schools” button. If you are a school approver, simply select the "Approve" button or "Deny" button on the flyer card. Please note that you must take action on all flyers before proceeding. If you need more time to make a decision on a flyer, you can select "Hold". Approval history is no longer constrained to 3 months. You can now see all flyers that have been approved within the last year. 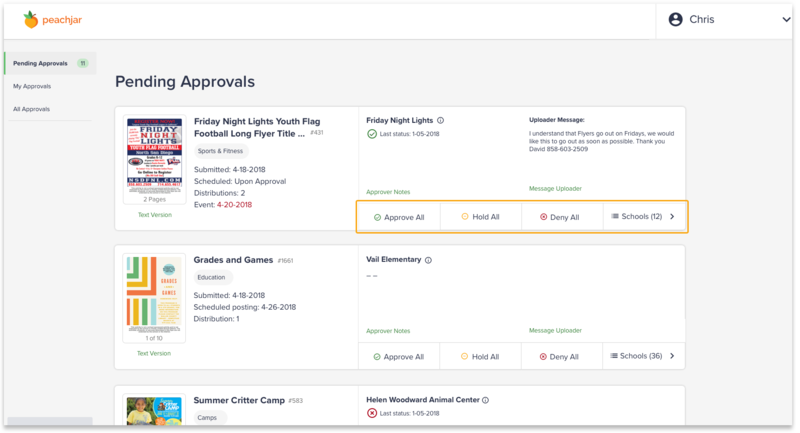 Each flyer card in the history view now has a new, at-a-glance status bar which allows the user to quickly see where the flyer is in the approval process. The entire approval status history is now also available by simply selecting the “Schools” button. 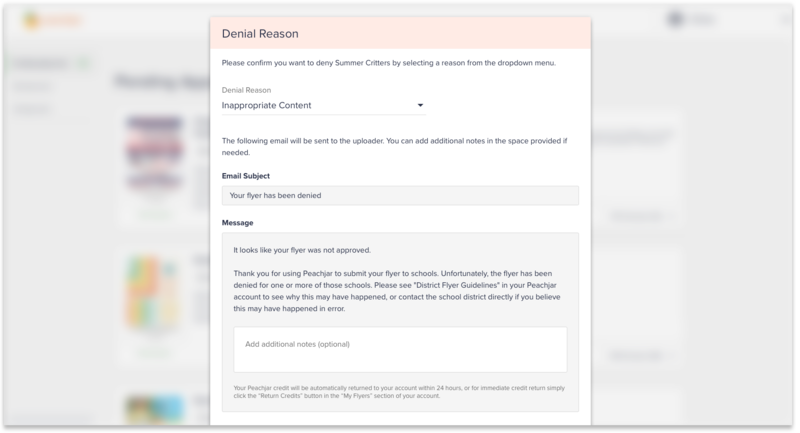 You will even have the ability to see how many times a flyer uploader has kept a pending flyer on hold. Communication around a denied flyer has been streamlined. 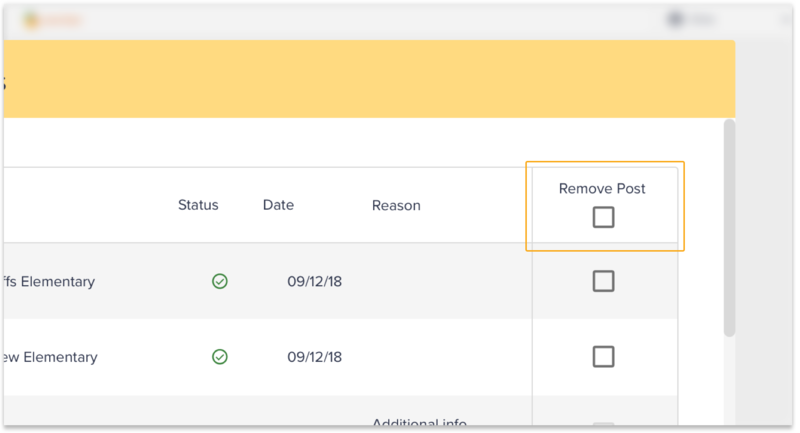 The approver can now quickly select the reason the flyer is being denied and then has the option to enter a message for the uploader. Easily remove a flyer that’s posted on your flyerboard. All post removals are now noted in the flyer’s approval history as well. You can now quickly select the reason the flyer is being removed and then has the option to enter a message for the uploader. If you have any questions or feedback, please do not hesitate to contact us. Happy approving!